It is a big weekend of cricket in the GDCA with one day matches scheduled for Sunday 5th February. Sunbury Roar finish off their match against Riddell Bombers tomorrow at Clarke Oval. After winning the toss and batting last week Sunbury was rolled out for their lowest score in recent memory. Riddell has already finished day one with first inning points. Riddell are expected to declare before play commences, if not at least in the first hour, send our team back out bat with the expectation of another collapse in a push for outright points. Simply put, with another days play ahead this is a chance for our team to put all that behind them and salvage some pride in the best possible way. The key will be for our top order to dig in, build partnerships and bat responsibly against the talented Riddell attack. Time to stand up fellas. Sunday’s one day fixture will be a local derby when Roar play host to Rupertswood at Clarke Oval. This promises to be an entertaining day of cricket as Rupertswood boast an attacking batting line up capable of anything on their day. 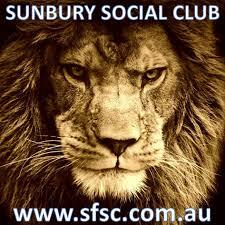 Sunbury Roar 2nd XI travel to Woodend on Saturday for day two of their encounter. Roar are chasing 314 so all eyes will be on big innings specialists Sam Fisher and Corey Beatty. Roar are keen to maintain there position in the top four, this match could go down to the wire. On Sunday Roar 2nd XI travel to the scenic Blackwood Reserve for their one day fixture. Blackwood have been tough to beat on their track over the years so good luck to our team. Sunbury Roar 3rds finish off their match against Bacchus Marsh Bulls at Boardman #2. This will prove to be a tough contest as our team managed only 143. After being 5/41 youngsters Mitch Boyd and Brock Landt battled hard to achieve a competitive total. BM start the run chase at 0/16. In Club Grade South Roar 4ths finished day one having amassed 6/358. Stars with the bat were Shayne Lewis posting a career high of 161 and Adam Kirk just missing the milestone with 91. Cameos by Josh Goater and Mike Veitch also finished the day off in positive fashion. Tomorrow the young bowling attack need to put the ball in the right areas to secure the points. Sunbury Roar 3rds and 4ths have Sunday off.